These days, many people are choosing to stay in small living spaces for a variety of reasons. And when it comes time to expand your family and a baby is on the way, moving into a larger home may not be an option. 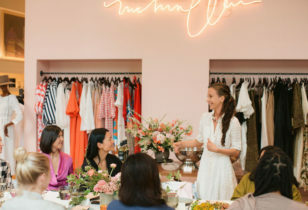 But with a myriad of new products that come along with a new baby, figuring out what you need without sacrificing too much space and style can be overwhelming. Honing in on those essential baby items and determining how they’ll fit into your space can be like putting together a puzzle. While it might be daunting, it’s also a fun exercise in maintaining your personal aesthetics while incorporating choice baby gear. To help you in the process, we’ve put together some tips on inviting a little one into a little space. Focus on your own stuff and eliminate non-essentials. Once you make the decision to stay in your small pace, it’s time to prioritize what stays and what goes. Before bringing in any new baby items, pair down and organize what you already have and start brainstorming unique storage solutions. We’ve mentioned Marie Kondo’s book before and we believe applying some of the tactics from The Life Changing Magic of Tidying Up can help you get your home in shape before planning a nursery nook. Create a baby registry and include gift cards, favors, or experiences. 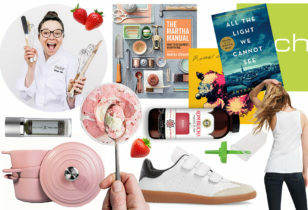 If you live in a small space, hopefully most people in your life are aware that square footage is at a premium and they’ll be thoughtful when it comes to giving you gifts. 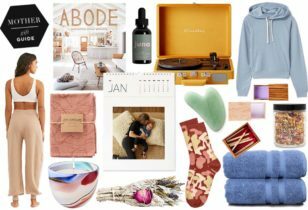 Be very intentional when you create your registry (check out our Minimalist Baby Registry roundup to get started), and include items that are essential, functional, and style conscious. Stress to your friends and family how important it is to you that they choose something that you have selected and how much you’ll appreciate their support and generosity in doing so. Beyond material objects, think about adding gift cards, experiences (how does a prenatal massage or date night sound? ), and services (like house cleaning, childcare, or home-cooked meals) to your wish list. Buy what you need as you go. Focus on what you will really need for the first few month of your baby’s life. If you think you’ll use a co-sleeper or bassinet for the first few months and eventually transition to a crib, wait to purchase the crib until you’re ready to use it. If you are hoping friends or family will contribute to some of the big ticket items, but don’t need them right away, gift cards or letting people contribute money toward your purchase is a great option. Or you can simply let them know you would love if they could give you that gift a little later on. Babies will outgrow clothing, toys, and all sorts of products rather quickly. The “one in, one out” method is a good rule to live by. Once your baby outgrows something, you can get rid of it (whether you donate, pass down to a friend or family member, sell it on Craigslist, or put it in storage) before bringing in something new. Choose quality and style over quantity. There are a lot of cheap, plastic baby items out there. Not only are they likely to break sooner and possibly be made from toxic materials, they probably won’t camouflage well into your living space. Wood toys are a good way to go. They will last a long time, can be passed down to family or friends, and will blend into your adult space a little more smoothly. Baskets will be your friend for corralling all those toys, so choose something that you enjoy looking at. It doesn’t have to be over the top kiddy looking. We love these baskets, which are sleek looking and fold down to save on space. Invest in a diaper pail. When you’re dealing with compact quarters, unsavory odors can take over if you aren’t careful. The Ubbi Diaper Pail is a nice option. It’s more compact than many of the other diaper pails out there and it comes in a variety of colors. Keep it next to your changing station or replace your bathroom wastebasket with the Ubbi if you are really tight on space. You can use regular garbage bags instead of the specialty bags many diaper pails require. Don’t be afraid to put baby in the closet. Closet nurseries are a great way to go if you don’t have a room to dedicate to a nursery. 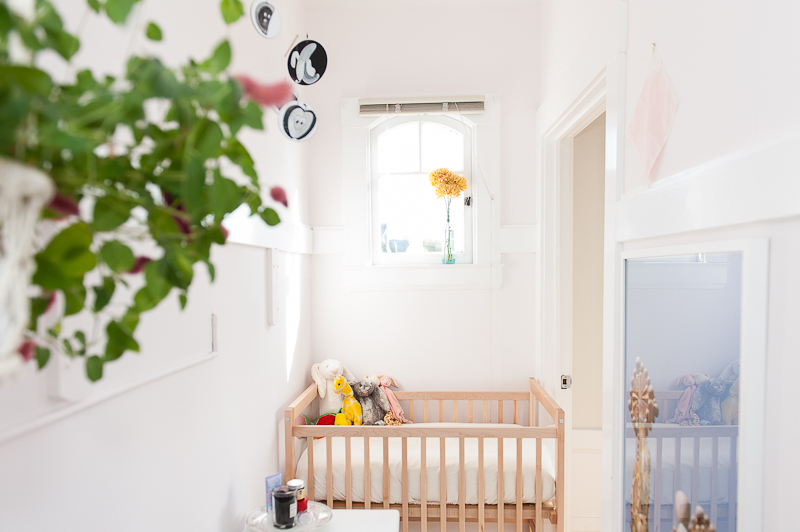 We have featured a couple of stylish and compact nurseries in the past, like Angela Tafoya, Laura Hollabaugh, and Erin Feher‘s sweet spaces, as well as some Small Nursery Inspiration, which includes numerous chic closet nurseries. Your own clothing can be moved into a wardrobe, garment rack, or under the bed. Remember that a baby doesn’t need a lot of room to sleep, but creating a tiny nook that can be closed off with a curtain or a door can be nice when you need a little bit of separation. Find a good small crib. Cribs can come in a variety of sizes, and finding a compact version is key if you live in a tiny space. Both aesthetically and size-wise, we love the streamlined Stokke Sleepi Mini, which sits at 32 x 34 x 26 inches and can keep expanding over time until your kid is 10-year-old! The Bloom Alma Mini is also built for tight spaces, at 37.2 x 19.5 x 33.1 inches. Meanwhile, the Infant Clearview Convertible Crib by Whitney Bros. (seen in photo above) stands at 37 x 40 x 27 inches. A moses basket by itself of sat on top of a rocker can also be a space-saver in the early months.